Volkswagen, one of the world’s biggest automotive companies is testing the future of its global ride-hailing business in Rwanda as part of its expansion strategy in Africa. The ride-hailing application, branded “Move Rwanda”, is a milestone project that would provide better mobility. 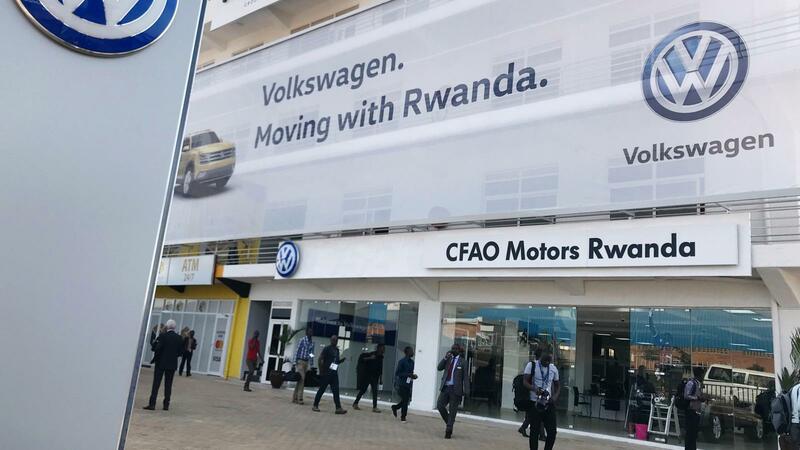 Less than a year ago, it set up a $20 million operation in Rwanda which is expected to produce up to 5,000 vehicles a year and create about 1,000 jobs. This project is part of an initiative to test the potential of a full-fledged ride-hailing service, says Michaella Rugwizangoga, VW Rwanda’s CEO. With the Move Rwanda application, the company will manage the entire value chain, ranging from supplying their own cars and drivers, to providing insurance, refueling and maintenance services. The first package launched under the ride-hailing service last July was “Move Share,” giving companies like Bank of Kigali or bakery chain Brioche access to a fully-managed fleet service. VW also began offering riders on-demand hailing services around Kigali last October With 14,000 downloads of the “Move Ride” app so far, the service has 30 cars driven in two shifts by 70 drivers, with the expectation of increasing to 100 cars in the coming months. Since the 1950s, the German automaker has assembled cars in South Africa, and later in Nigeria and Kenya. Its renewed interest in Africa is driven by the demand for brand new cars propelled by an emerging middle class as well as competition from companies like Toyota, Nissan, and Peugeot who are ramping up production in the continent. The Move Rwanda app was developed by local software firm Awesomity for Volkswagen. To expand its offering, Volkswagen Rwanda says it will soon launch a children’s pick-and-drop service (Move Kids) as part of its ride-hailing service. They will also establish a service dubbed “Move Drive” that allows customers rent cars and return it to one of six to 10 stations of choice in Kigali. The carmaker will also introduce 50 electric cars in its ride-hailing business as part of a broader shift towards getting rid of gas-powered vehicles. Rugwizangoga hopes these moves will help satisfy the local demand, target more riders and companies, and hopefully help replicate the model elsewhere. She also said that besides the complete infrastructure and service spectrum, VW’s system offers another advantage over other ride-sharing applications; its drivers will accept your credit card without the reproving looks and complaining.